This beautiful girl is Molly. 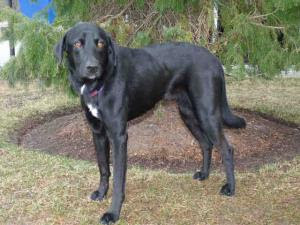 She's a spayed female, black Labrador Retriever mix. Shelter staff think she's about 18 months old. She sits and walks nicely on a leash. Sure hope Molly finds a forever home soon! Hope she finds a home real soon. She is adorable! She is a beautiful girl! People would be fools to not call and get her.